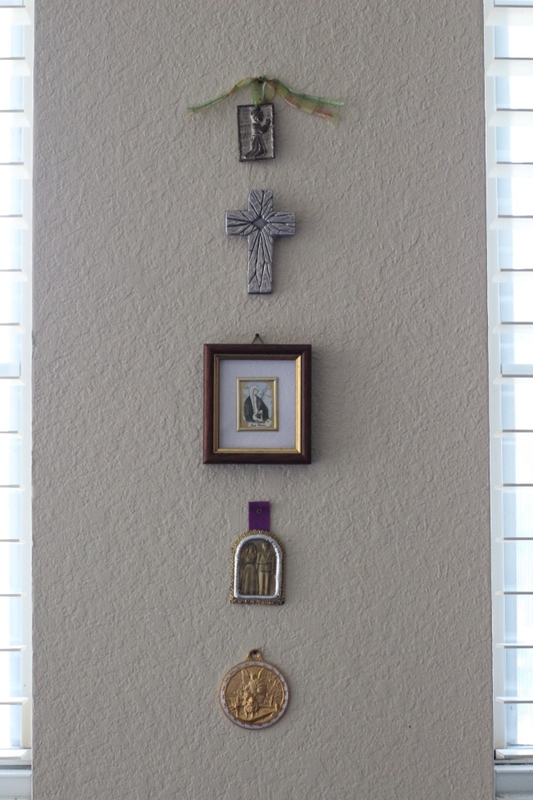 I’ve had this small collection of milagros for years now. Some pieces I picked up here and there, and some were given to me as gifts. I like to think of them as small reminders of San Antonio, my hometown, and I used to display them in my kitchen. But then we repainted and redecorated, and the pieces were stored away for safe keeping. 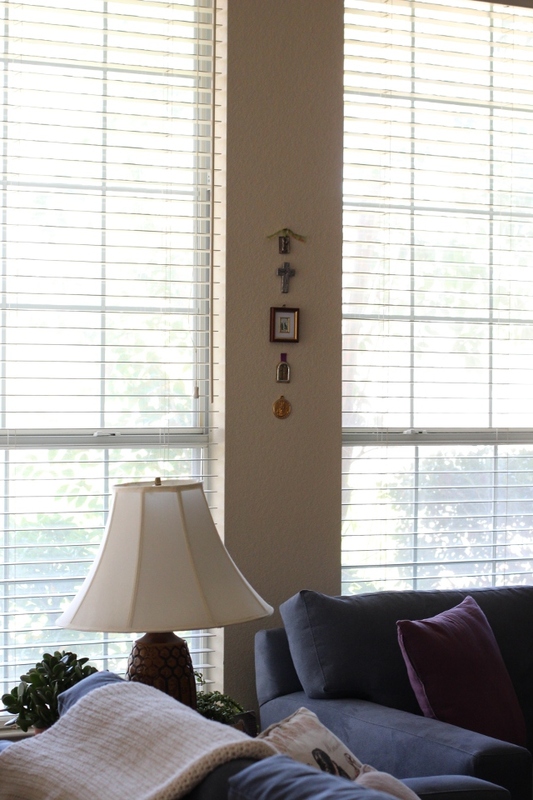 I stumbled upon them recently and decided that they deserve to be seen, so I hung them in a row between the windows in our living room. They are just out of the boys’ reach, and I can enjoy them every day now. After our house renovation was finished, I carefully hung a few photos and artwork in very strategic places. I think I was nervous to put holes in the newly painted walls and I wanted a quieter look, overall. But it’s been two years and I miss some of the decorations I stored away, so I’m adding them back again. And collections are meant to be shared and enjoyed, so I think these tiny miracles mark a great starting point.